Open office layouts are the norm in most workplaces today, and while the benefits for this shift in office layout is grounded in solid logic, it remains a source of tension for many in the workforce. Not everyone likes to feel exposed, and if you want to develop a workplace culture that is both productive and accommodating, then addressing these privacy concerns is important. Thankfully, providing privacy for employees doesn’t need to signify the end of the open office. 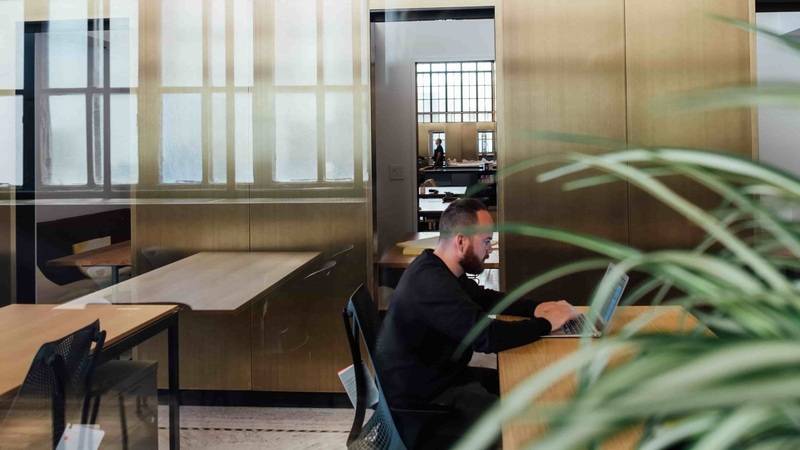 What it does need is a compromise that facilitates smart, thoughtful design choices that can retain the flexibility and productivity of an open office while still affirming an employee’s preference for personal space. While open offices are valuable, the lack of privacy can be a problem for some people. Not everyone thrives in a community that doesn’t allow for personal space, and when the “walls” are taken down, distractions can rise up and make it difficult for employees to really concentrate on the task at hand. That’s not to say that open offices are bad - the opposite is usually true - but that open offices need to be flexible. Everyone is different, and an environment where one kind of employee thrives is not necessarily the same environment that allows another employee to succeed. It’s not possible to cater to every conceivable preference, of course, but it is possible to strive towards a workplace culture that’s not so rigid that it eliminates any chance of personal flexibility. A strong company culture adapts to the needs of its employees, so when it comes to privacy, be accommodating. Acknowledge that an open office isn’t for everyone, and address that by creating spaces in the office that support a sense of privacy. When a workforce feels seen and accommodated for, they’ll feel validated in a way that will encourage productivity and commitment. A company culture is made up of unique preferences, feelings, and ideals of a diverse group of people. As much as you want to see those people come together, that can’t happen automatically. You need to invest in your workforce, learn who they are as individuals, what their strengths are, and then use that information to establish a company culture that meets the needs of as many employees as possible. Instead of the rigidity of a “one-or-the-other” approach, move towards an ecosystem that combines the needs of your employees with the needs of your company. Take advantage of the open office layout, but also provide designated places for privacy or smaller-scale collaborations. There are a number of ways to design an open office that doesn’t alienate those who prefer their personal space. Reducing noise with soft furniture, rugs, or even wall padding will reduce levels of distraction in your office, cut down on annoying echoes, and create for a warmer, more comfortable environment for everyone’s productivity. Even subtle window films can do the trick, as they can facilitate the feeling of privacy by controlling the transparency of the glass. For example, LINTEC of America’s VisionControlFilm is designed so when the viewing angle changes, the transparency of the glass changes along with it, shifting from completely clear to frosted, or even vice versa. This allows for you to create a sense of privacy while still making use of an open floor plan. Privacy is an important factor in the well-being of your employees, and the more accommodating you can be, the happier your employees will be. Whether you designate quiet spaces in the office, use plants to separate the space between desks, or simply install some frosted window films or a dynamic privacy film, there are multiple ways of allowing for privacy to exist alongside the productivity of your open office setup.